Yvette Didierjean was content bringing up her family of four small children in Frejus in the South of France. But her husband, Marcel, had other ideas. He was set on moving to the United States. 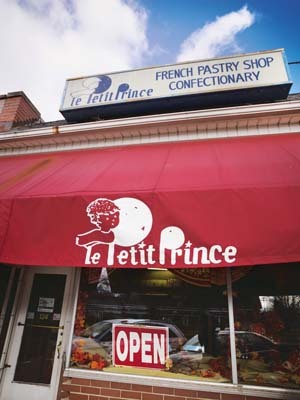 So in 1979, the family picked up stakes, relocated to Michigan, and opened a bakery with the same name as the one they left in France, Le Petit Prince. The Didierjeans, with the help of two of their sons, Cyrille and Adrien, are still making pastries, baguettes, almond croissants, chocolate éclairs, and dozens more classic French creations in the same spot on 14 Mile Road at Pierce in Birmingham where they set up shop upon arriving here. Many bakeries have opened and closed here since Le Petit Prince, named after the 1943 novel by Antoine de Saint-Exupéry, was established. But this little corner of France remains remarkably untouched by the 30-plus years that have gone by. Its small quarters might have been wrapped in cellophane all these years. The brick oven left in the kitchen when the previous owner vacated is still there, and when it was repaired recently, the couple saw that it was built in 1947, “the same year Marcel was born,” Yvette notes while manning her usual post amid the old-fashioned wood-and-glass cabinets and shelves showcasing Marcel’s baking finesse. 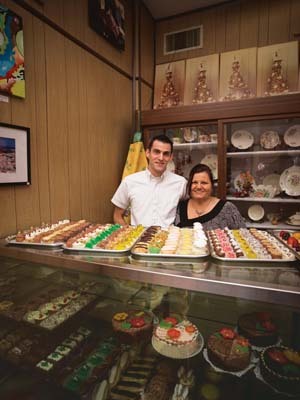 ABOVE: Yvette Didierjean and son Adrien with some of their treats. A second oven, a Pavailler steam oven from France, is used to produce true baguettes, as well as the long, skinny loaves called ficelle and petit pain (rolls). Displayed around the room, along with colorful linens that the family imports from Provençe, are framed photographs of France by Adrien and fanciful contemporary paintings by Cyrille. Along with his mother, Cyrille is also the creator of the elaborate chocolate confections such as the intricately detailed chickens that take six to seven hours to hand-paint in brilliant colors with tinted white chocolate. The hollow chocolate creatures filled with candy change with the seasons. The small space has never been updated. Every time the family thought about remodeling, Yvette says, their customers persuaded them to leave the place as is. The Didierjeans spend their summers in France, closing the shop the last week of June and reopening the Tuesday after Labor Day. 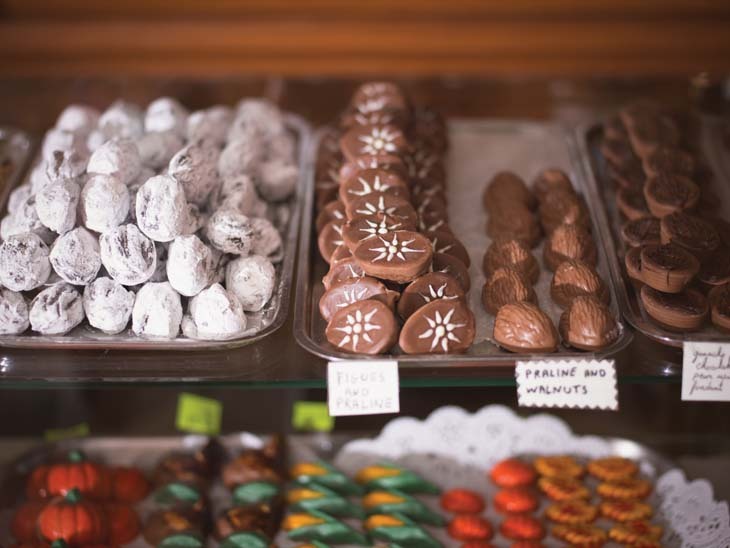 “Summer is not a good time for chocolate,” Yvette says with a twinkle, but that’s only an excuse for the family’s need to connect with their deep French roots. 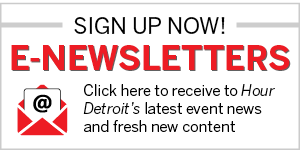 Le Petit Prince, 124 W. 14 Mile Rd., Birmingham; 248-644-7114. Open Tue.-Sat.